There are many debates as to why “French women don’t get fat”. I wondered why myself when I first heard about the book. So I thought about it and about what I did differently back when I lived in France. Before I continue, let’s make this clear: I don’t believe there are more slim women in France than anywhere in the World. It is a fact, in France you just walk everywhere. Growing up, I don’t remember a day when I didn’t walk. Walk to school, to the market, walk to the shops, walk to the beach… You name it! Of course distances in Australia are a lot bigger and this could explain why I cannot simply walk from Pacific Pines to Sanctuary Cove to visit my friend! Even if I wanted to, the paths taking me there are just not made for it. As a result, I find when I go on holidays (even just up the road to Byron Bay), I crave a walk, I find it amazingly refreshing. I feel healthy the minute I am out the door, breathing the fresh air and feeling the sun on my cheeks. There are so many discoveries you make on a walk. In our daily routine, we too often forget about the beauty of what surrounds us, the real discovery of you and Nature, take the time to walk and listen to one another – or appreciate a simple g’day from another walker! 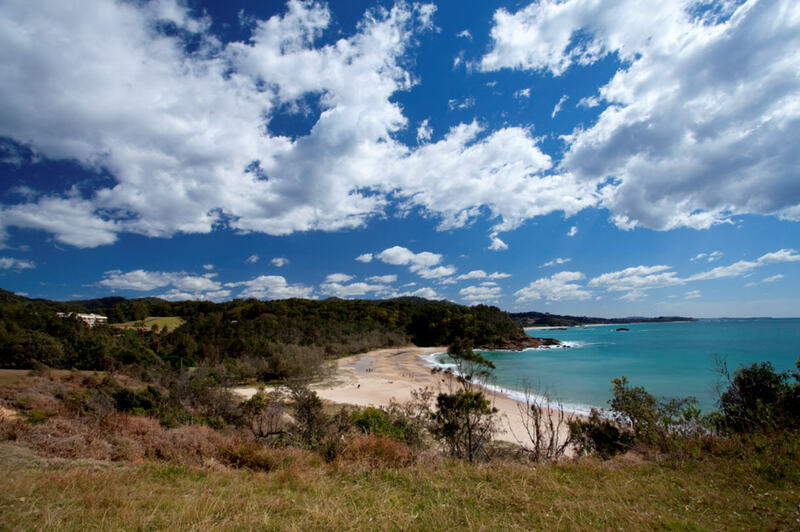 I remember a trip to our property in Coffs Harbour last year – I still talk about it today! I only had limited time but I knew I owed to myself to get out there and discover the surrounds of the property no matter what – I had heard of the Coastal walk right at the base of the resort. I woke up at dawn and rushed out to explore. I cannot stress enough how lucky we are to live in such beautiful natural surrounds. People often comment that I am lucky to be from France – and yes I am – and we in the South Pacific are just as lucky – with a wealth of natural beauty in our part of the world. Coffs Harbour Treetops has it all, proximity of natural heritage (beach, forest, wildlife) and an abundance of birds making it a paradise – for me anyway. The coast walk can take you as far as you wish along the ocean. Not only do you exercise without realising, you also get to discover a stunning part of Australia’s East Coast. Look out to sea, you may even see whales playing about. If you head South from the resort and get up the small hill after a secluded little beach, you might even get to mingle with a flock of yellow tailed black cockatoos. I know I did and I had tears of joy running down my face as I forced myself to leave them behind. What’s even better about a walk is you get back and have a scrumptious breakfast because you are actually hungry! There is no worthy excuse to avoid a walk, especially on holidays! Next time I will talk about another thing French women do: we eat what we want! ← Kirra – One Perfect Day!